1. The small urban farm has some chickens. 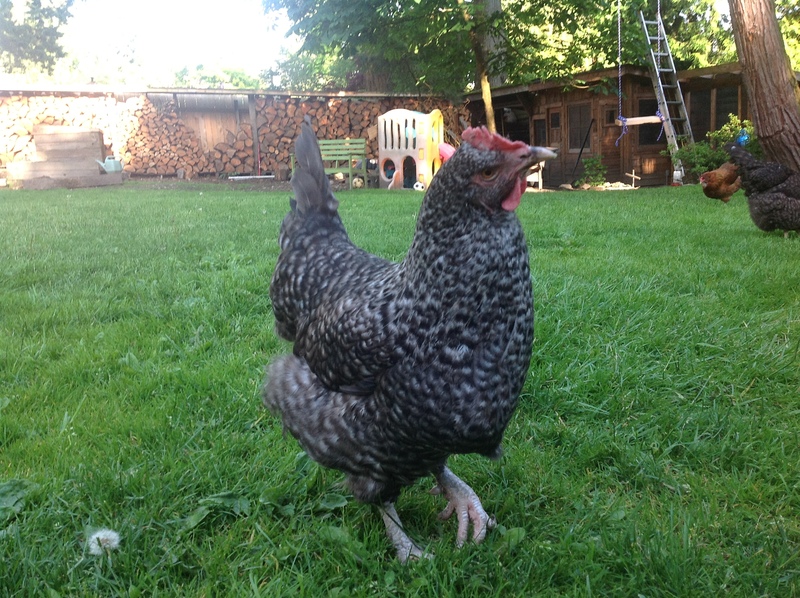 Scotti and Bernadette lay dark brown eggs daily. Robbi, Dizzy, and Beatrice lay every other day. 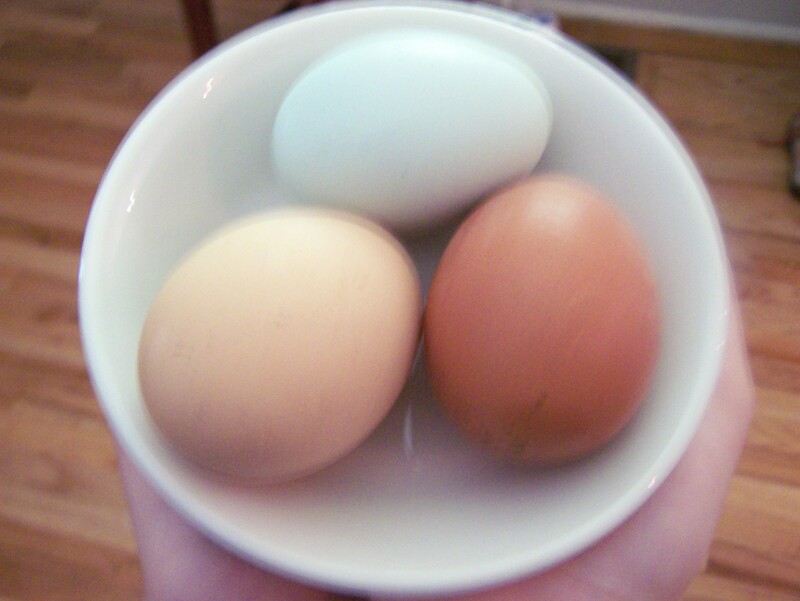 Robbi’s eggs are creamy tan, Dizzy’s are almost white, and Beatrice lays beautiful greenish blue eggs. How many eggs are in the farmer’s refrigerator? 2. If the farmer has 2 eggs for breakfast, lunch, and dinner, how long will it take for her to become tired of eating eggs? 3. If pasta uses 4 eggs, waffles use 3 eggs, and egg salad for one uses 2, how much weight will the farmer gain? 4. If the farmer found a recipe calling for 9 eggs, how often would she need to make it to keep ahead of the backyard abundance? Put the chocolate and butter into a heatproof bowl, set over, but not touching, about 1 inch of simmering water until melted. In a mixing bowl, whisk the egg yolks with the sugar until light yellow in color. Whisk a little of the chocolate mixture into the egg yolk mixture to temper the eggs – this will keep the eggs from scrambling from the heat of the chocolate; then whisk in the rest of the chocolate mixture. Beat the egg whites in a separate bowl until stiff peaks form and fold into the chocolate mixture. Pour into the prepared pan and bake until the cake is set, the top starts to crack, and a toothpick inserted into the cake comes out with moist crumbs clinging to it, 20 to 25 minutes. Let stand 10 minutes, then unmold. 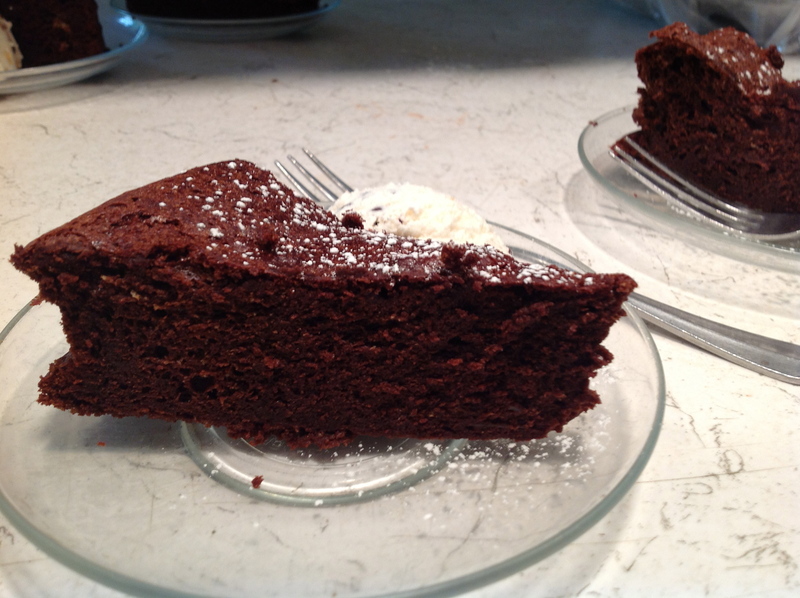 Dust the cake with confectioners’ sugar and serve at room temperature.